disinfo– “…Some of the common signs I’ve found in materials written by disinfo agents are…By feeding other bits and pieces of false information to the protégé survivors, they use the survivors to promote even more disinformation. Hearing such disinfo from both the agents and their protégés causes us to be more likely to believe that the disinfo must therefore be legitimate. My biggest concern about this, is that the protégés are not only adding an undeserved sheen of credibility to the disinfo agents and their lies, but the protégés are also being used to influence the public to believe that ALL mind-control survivors must believe the same lies. 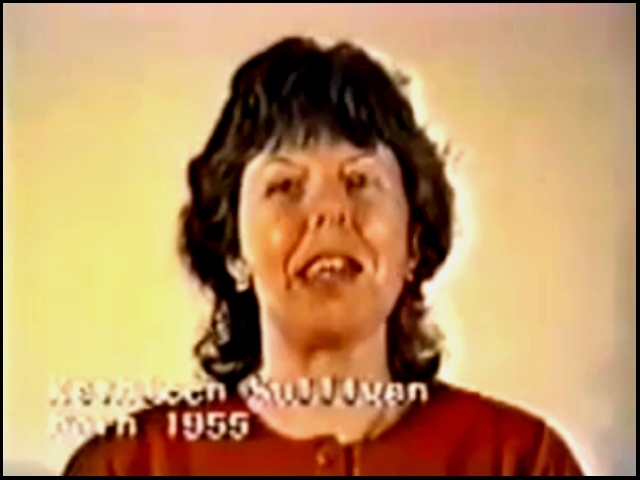 Beyond that, any individual who is educated or smart enough to recognize the disinfo as such, may therefore not trust information provided by those of us who are presenting legitimate information…” (Interview with Kathleen Sullivan – Author Of The Book: Unshackled: A Survivor’s Story of Mind Control). Kathleen Sullivan lives near Chattanooga, Tennessee with her husband, Bill. She is the founder and president of a grassroots advocacy organization, North American Freedom Foundation, a Positive Activism, Remembrance and Commemoration for Survivors of Ritual Abuse and Mind Control. For more information. A master gardener and rock collector, Kathleen enjoys “playing in the dirt.” She’s currently helping to develop PARC-VRAMC’s Chattanooga Living Memorial Garden. A Social Work student at the University of Tennessee, she is also the author of MK, a novel about mind control that is scheduled for publication in 2004. You can visit her personal (Book Review: Unshackled: A Survivor’s Story of Mind Control).